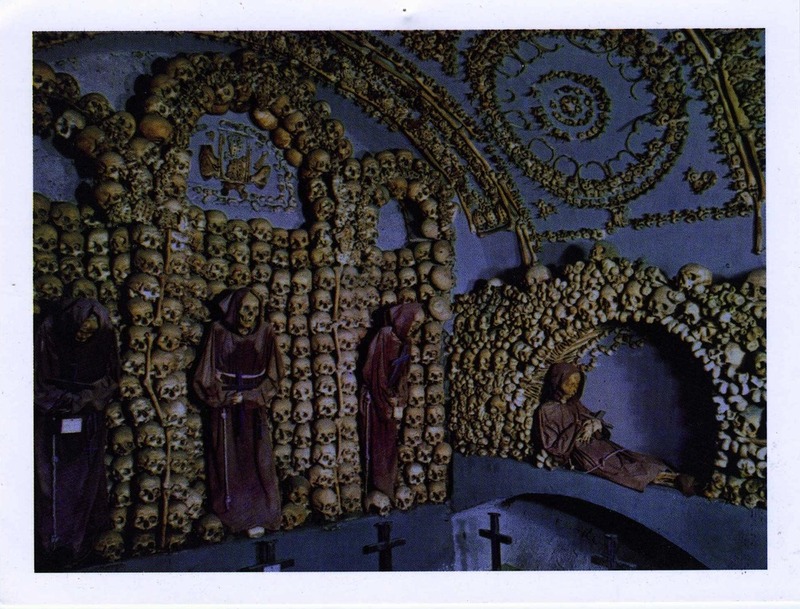 Whether you’re sick of touring churches or you just have a thing for the macabre — the Capuchin Crypt can be an interesting sight for tourists who want to delve slightly off the beaten path. The small crypt is underneath the church of Santa Maria della Concezione dei Cappucini, just off the Piazza Barberini in Rome. As you can see from the postcard (they didn’t allow photographs to be taken in the crypt) the place looks like something you would find on the cover of a heavy metal album rather than as a destination point in Italy. However, the place has drawn visitors for the last several centuries including Mark Twain and the Marquis de Sade. Over 4,000 Capuchin monks have been buried in the crypt since 1631 and the soil in the ground was brought over from Jerusalem. The display is meant to be a reminder of mortality and that our time on Earth is short. The Capuchins would bury their most recently deceased in the soil and after 30 years of decomposition, arrange their bones around the crypt in the ornate motifs. While I’m sure the displays were indeed meant to remind everyone of their own mortality; I am curious if it became a practical/slightly strange way to deal with the small space they were allotted to bury their dead. Either way, the Capuchin Crypt makes an intriguing site that you are not likely to forget anytime soon and something to certainly write home about!